Anthony Buono — Westport’s assistant superintendent of schools — will serve as acting superintendent, Board of Education chair Mark Mathias said tonight. Colleen Palmer will be on medical leave until August 1, the Westport News reports. That’s when her retirement — announced last month — officially begins. 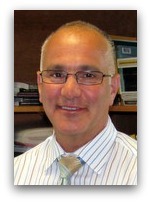 Buono came to Westport last July from Branford, where he was associate superintendent of schools. This entry was posted in Education, People and tagged Anthony Buono, Colleen Palmer, Mark Mathias, Westport Board of Education. Bookmark the permalink.